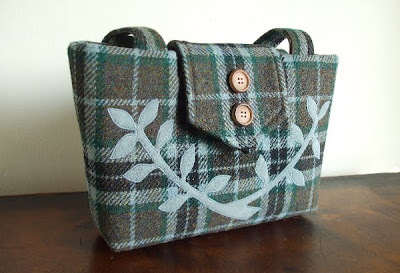 Yesterday I created a couple of purses with my gorgeous Harris Tweed wool that arrived from the Isle of Harris this week. 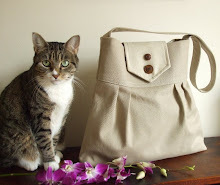 They will be available in the Pesky Cat Designs shop later this afternoon. 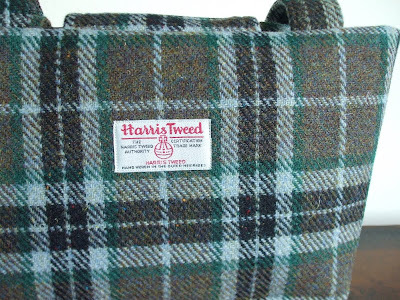 The lovely shop I purchased the fabric from included the Harris Tweed labels so I can sew them onto the back of my purses. I purchased quite a few meters of this lovely textile in a variety of plaids and barleycorn weaves so more purses are on the way! Absolutely stunning. I am really sitting here in awe. Saying they're beautiful does not really do them justice. 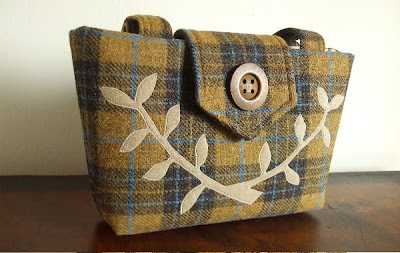 You have an amazing eye for fabrics and are just so talented! This a gorgeous purse!! Will totally have to check out your store. wow..love it. Wow, these are my favourite Peskycatdesigns so far! I'm off to heart them right away! They are gorgeous and the labels add a classy touch. 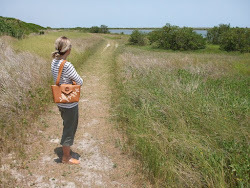 These bags are beautiful! Nice touch putting the HTweed label on there. I seriously would love to be able to look over your shoulder as you work. Your sewing skills blow me away! I LOVE that you put the label on there - they look great!